The Flames played out to a goalless draw against Namibia in a friendly match on Wednesday at the Sam Nujoma Stadium ahead of their Sunday’s Cosafa Castle Cup tournament. The Flames will play Angola in their opening match on Sunday. According to Namibian media, neither coach would have learnt much from a rather dull encounter with few highlights. During the match, Coach Ernest Mtawali made several changes featuring Gabadihno Mhango and Chiukepo Msowoya, while on the midfield he opted for Rafiq Namwera and Joseph Kamwendo, while Peter Wadabwa and Dalitso Sailesi operated from the wings. In defence, Francis Mlimbika, Stanely Sanudi, Harry Nyirenda and Miracle Gabeya were left with the mantle to protect Charles Swini in goals. The Flames notable chances came from Msowoya, who headed over the bar from a corner, while Muhammad Sulumba, who was introduced from the bench had also a good chance when he received the ball in space in the box, but Larry Horaeb brought off a fine tackle. 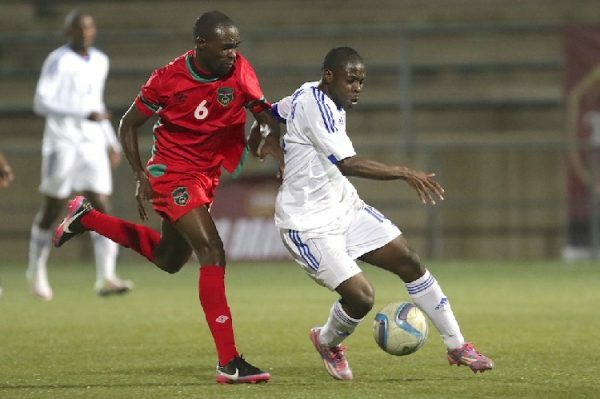 The second half, according to Namibia media was however a boring affair with little action, while Mhango was red−carded for a foul on Ananias Gebhardt in the final minutes.